Views, Views, Views! 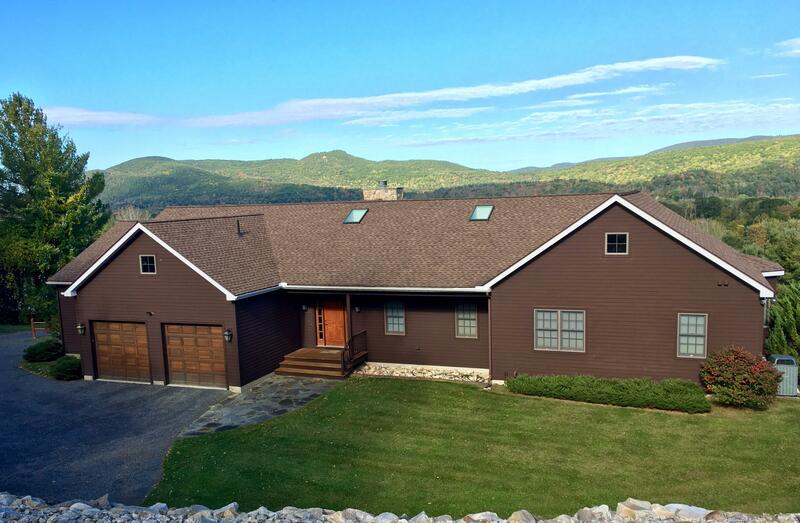 Pristine Mountaintop Estate overlooking the Berkshire hills on exclusive Kalliste Hill. 5 minutes from downtown Great Barrington. Large living spaces with vaulted ceilings, a big stone fireplace and tons of glass. Country Kitchen with granite counters and room for all of your holiday guests. First Floor Master Bedroom suite. Two additional Bedrooms and a Den on the main floor. The Lower Level gives you 2 more Bedrooms and 2 full Baths, plus a Great-room and 2 extra spaces that you can finish. Fabulous outdoor Deck and screened-in Sunroom complete this one-of-a-kind home. 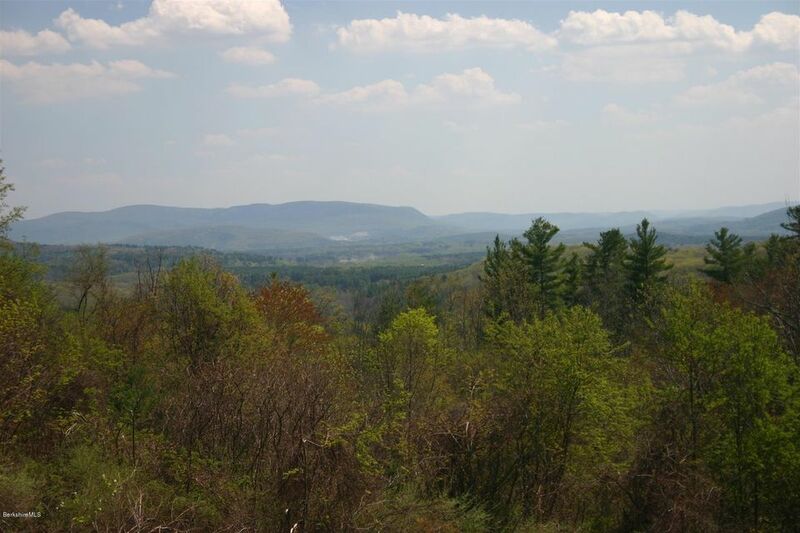 I have a question about the property at 55 Kalliste Hill Rd Great Barrington MA 01230 (#221036). 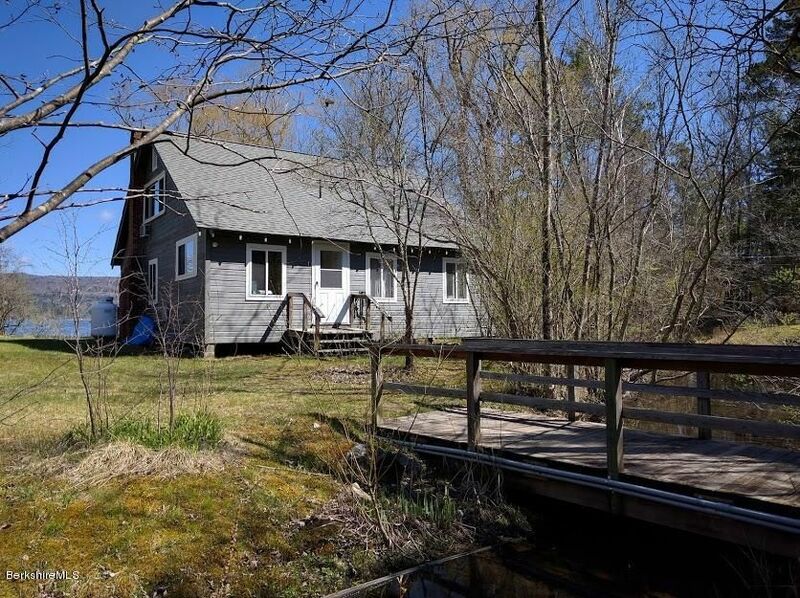 I would like to schedule a visit for the property at 55 Kalliste Hill Rd Great Barrington MA 01230 (#221036). Click to view brochure Prime Route 7 Location with 3 parcels for numerous possibilities. Start with an 8,400 sq/ft building with open floor space currently used for retail. Then add 2,000 sq/ft of storage on upper level serviced by a lift. Also offered is a 21/2 story building that formerly hosted a sub shop and apartment on the 2nd floor. The 3rd parcel is simply a parking lot to add more flexibility. Many possibilities for retail, office, or consumer service establishments zoned B2. 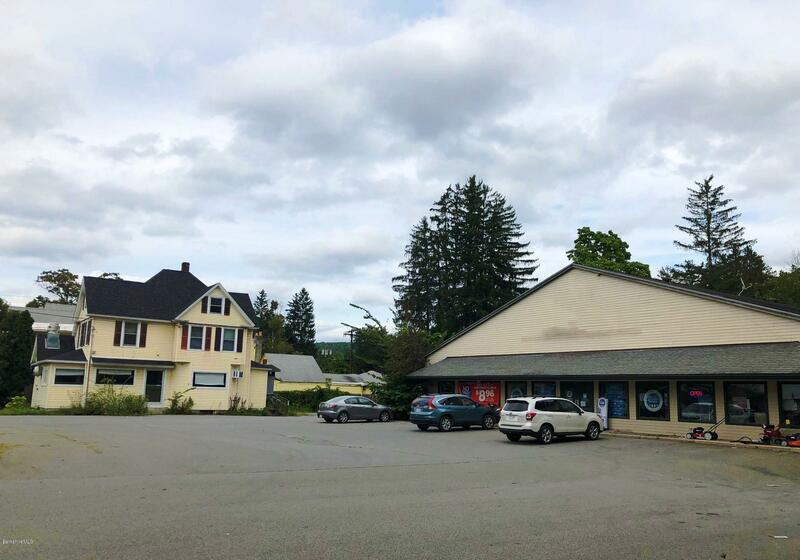 I have a question about the property at 228 & 230 Stockbridge Rd Great Barrington MA 01230 (#224767). 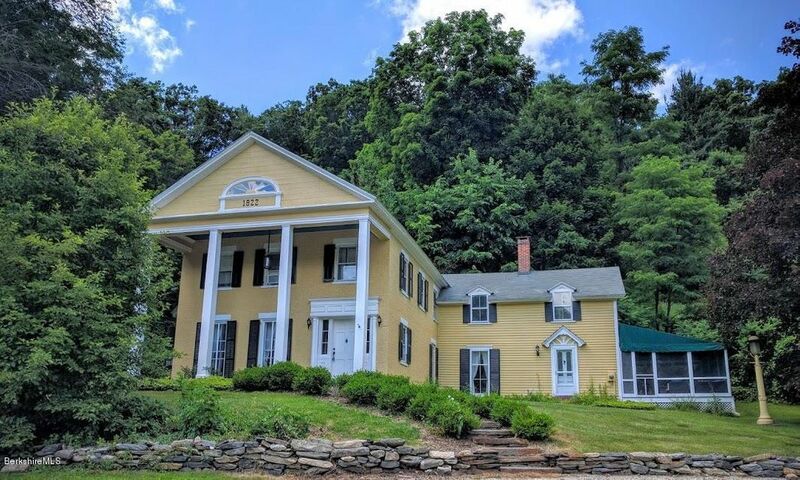 I would like to schedule a visit for the property at 228 & 230 Stockbridge Rd Great Barrington MA 01230 (#224767). Spacious Beachwood cottage sits on 1.3 acres with 627' of waterfront with an incredible view. After parking next to the cute guest cottage, a footbridge over a brook leads you to the large main cottage and a private dock. Four bedrooms, two baths are located in the main cottage. The cute guest cottage has one bedroom and one bath with a sitting area. This is a very special and unique property. I have a question about the property at 16 Beachwood Dr Stockbridge MA 01262 (#215144). 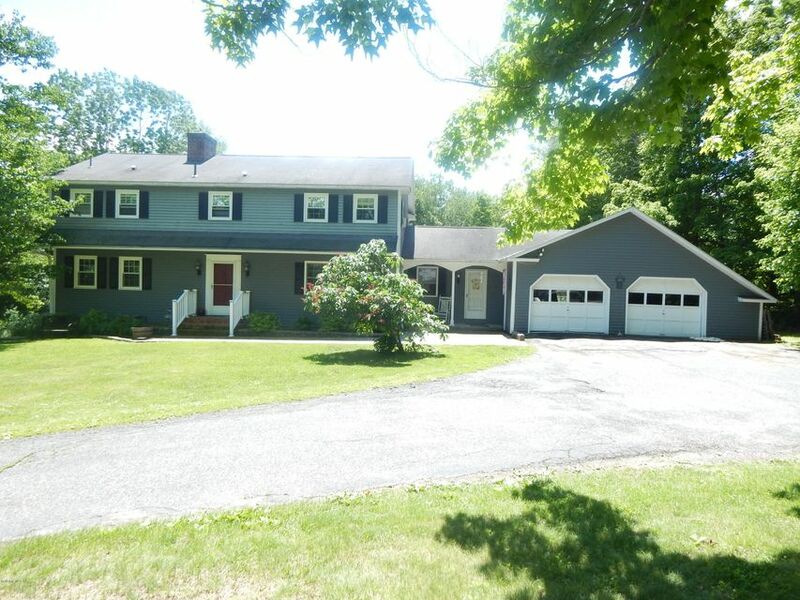 I would like to schedule a visit for the property at 16 Beachwood Dr Stockbridge MA 01262 (#215144). LENOX TOWN LINE JUST SECONDS AWAY....2 miles to TANGLEWOOD'S MAIN GATE, sits this immaculate, custom designed Country Contemporary with new red oak flooring in the 29 x 35 Great Room and dining room, open to a granite kitchen.Relax in the oversized screened-in porch, step out to the private back deck, complete with 4 bedrooms, 4.5 baths, attached 2 car garage. Lower level completely renovated with family room, office, and full bath. Many extras such as central air, new gas hybrid furnace, alarm system, and more. I have a question about the property at 131 Turkey Trot Rd Richmond MA 01254 (#221914). I would like to schedule a visit for the property at 131 Turkey Trot Rd Richmond MA 01254 (#221914). Click on this link to view brochure IMMACULATE, QUALITY-BUILT WATERFRONT HOME in EGREMONT! Large, open first floor with sliding glass doors out to mahogany deck overlooking pond. Master suite with beautiful bathroom. Additional bedroom and bath on first floor. Walkout completely finished with potential for more bedrooms if necessary. Two fireplaces and an attached two-car garage. I have a question about the property at 22 Taconic Ln Egremont MA 01258 (#216727). 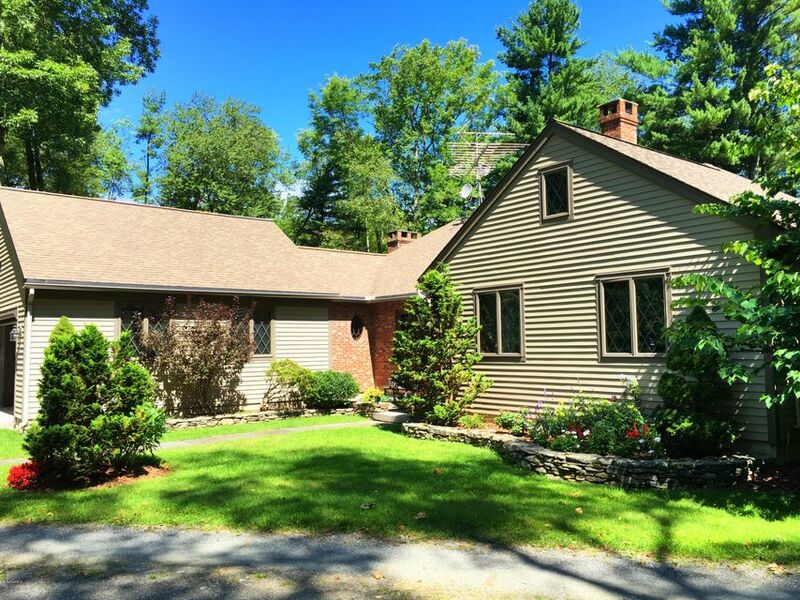 I would like to schedule a visit for the property at 22 Taconic Ln Egremont MA 01258 (#216727). Bring the entire extended family for the holidays. One and only unit in the first stage of Barrington Brook still available. Move in tomorrow. Single level living with great room, screened porch, gourmet kitchen, lovely master suite, two guest bedrooms and an additional full bath on the first level. Off the kitchen is laundry and mud room that attaches to the two car garage. Lower level is fully finished with a large family room, two more bedrooms, and another full bath and a media room. Perfect for house guests and holidays. I have a question about the property at 1 Burning Tree Rd Great Barrington MA 01230 (#221330). I would like to schedule a visit for the property at 1 Burning Tree Rd Great Barrington MA 01230 (#221330). SPECTACULAR SOUTHWESTERLY VIEWS from this 40 +/- wooded, stonewalled acreage with brooks and partially cleared area for your dream home. Views extend to Connecticut and Catskills in New York. Electricity available. I have a question about the property at 0 Home Rd Sheffield MA 01257 (#219864). I would like to schedule a visit for the property at 0 Home Rd Sheffield MA 01257 (#219864). Builder saved his best building lot for last on West Rd. Drive down a long cury driveway to a private open meadow completely surrounded by forest. No road noise. Perfect location, near Stockbridge & Lenox town line. Minutes to all Berkshire cultural attractions. 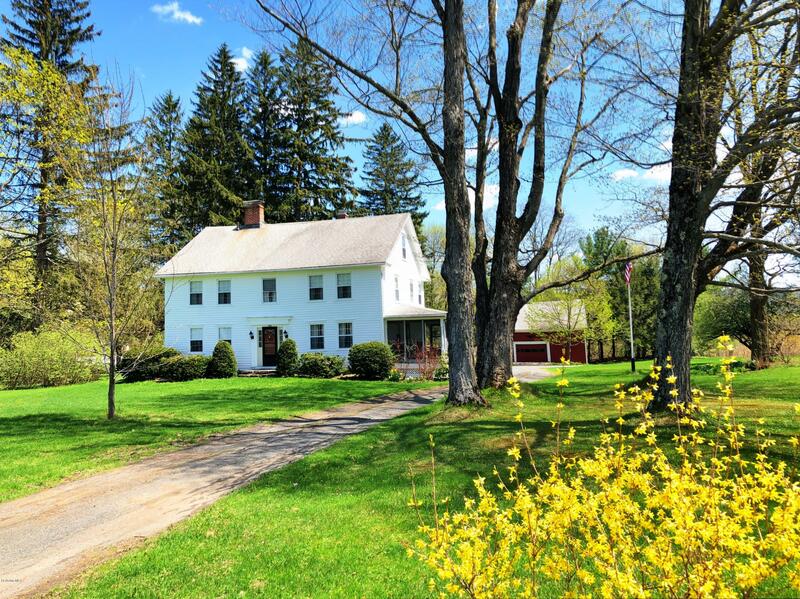 High end home value area on rural country road across from the gorgeous High Lawn Farm 300 acre estate. PUBLIC WATER & SEWER! Can build to suit in 6 months from closing date. I have a question about the property at 573 W Rd Lee MA 01238 (#220280). I would like to schedule a visit for the property at 573 W Rd Lee MA 01238 (#220280). Click to view brochure SPACIOUS, WELL KEPT 11-room Center Hall Colonial dating back to 1769 with updated kitchen and bathrooms, 3 fireplaces, 5 bedrooms, 2.5 bathrooms, finished bonus room on third floor, screened in porch, fantastic barn, all on a corner lot, new septic system, many original details throughout. I have a question about the property at 22 Summit Rd Richmond MA 01254 (#222922). I would like to schedule a visit for the property at 22 Summit Rd Richmond MA 01254 (#222922). Renovated victorian on one of the best blocks on the hill. Current sellers opened up the interior and installed a new kitchen with granite counters and stainless appliances, replaced the roof, and created a master suite. Third floor offers room for expansion. Enjoy the renovated porch all summer. I have a question about the property at 18 Benton Ave Great Barrington MA 01230 (#209284). 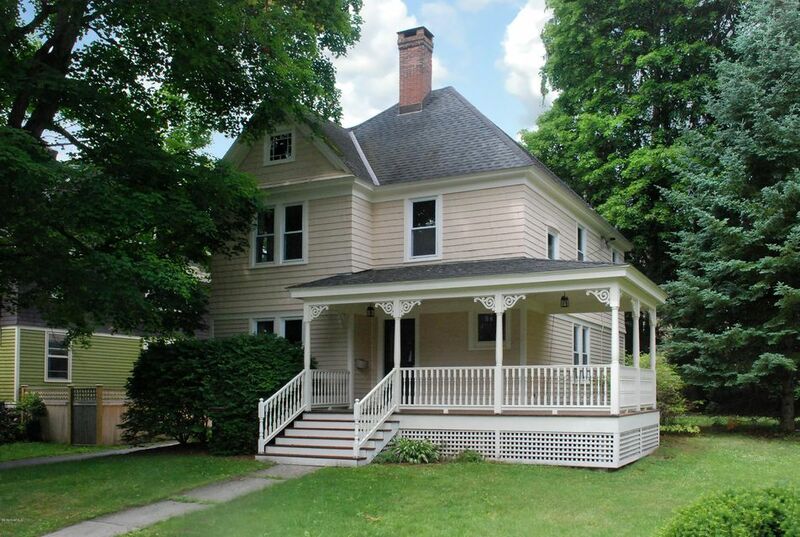 I would like to schedule a visit for the property at 18 Benton Ave Great Barrington MA 01230 (#209284). Take your place in one of the grand historic houses in South Lee. Built in 1822 by paper mill owner Charles Owen this magnificent home is of the Greek Revival style. Off the central hall there is a large living room with a fireplace and floor to ceiling windows, and an equally spacious den with its own fireplace. The dining room with fireplace and kitchen are across the hall.Large two car garage. I have a question about the property at 1530 Pleasant St Lee MA 01238 (#214301). I would like to schedule a visit for the property at 1530 Pleasant St Lee MA 01238 (#214301). 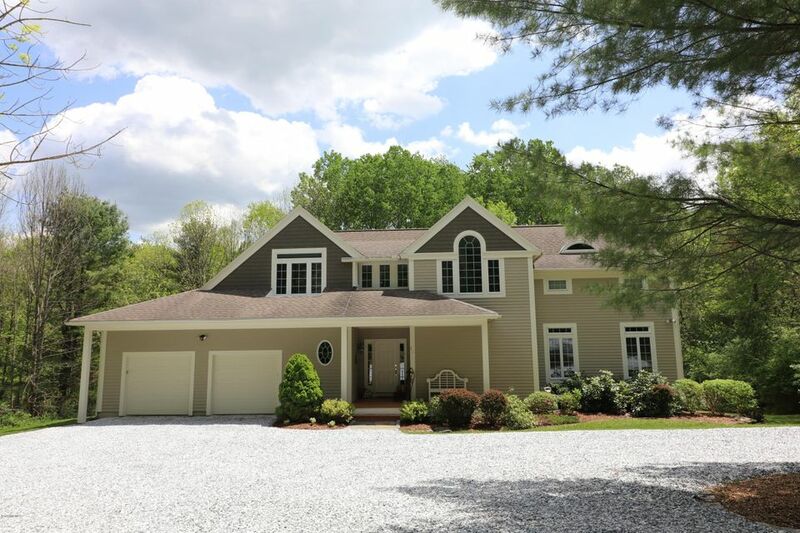 Beautifully remodeled Colonial, 4 Br/4 Bath on private .92 acre. Great backyard with deck, pool & large lawn, Gorgeous kitchen with granite counterbar, New bathrooms with new fixtures, tile floors, tub and shower, Oak hardwood floors, formal dining room, first floor bath & laundry, lower level walkout family room, full bath and exercise room. *Total sq ft. includes the finished basement space. 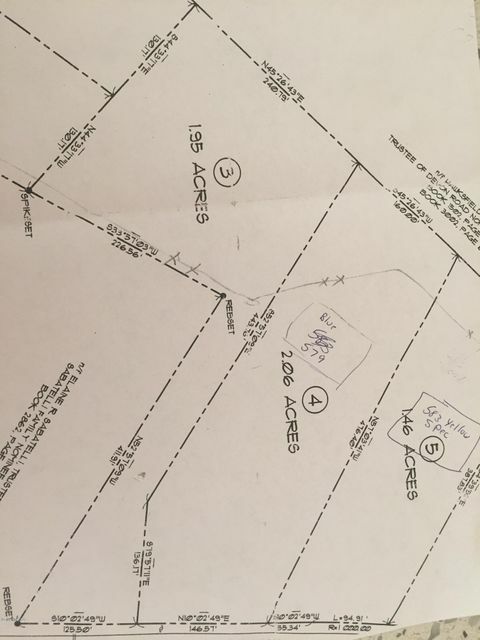 I have a question about the property at 425 Devon Rd Lee MA 01238 (#215767). I would like to schedule a visit for the property at 425 Devon Rd Lee MA 01238 (#215767).